Screenbase is the DOOH agency. We craft impactful media experiences on daily customer journeys, that create behaviours and grow businesses. Our experts design contextualized and tailor-made advertising experiences, that generate engagement, drive to store, branding and growth. Screenbase designed Brand Suite, the first ecosystem of transversal and integrated media solutions, creating value at all consumer touch points and providing the best response to brand’s challenges. 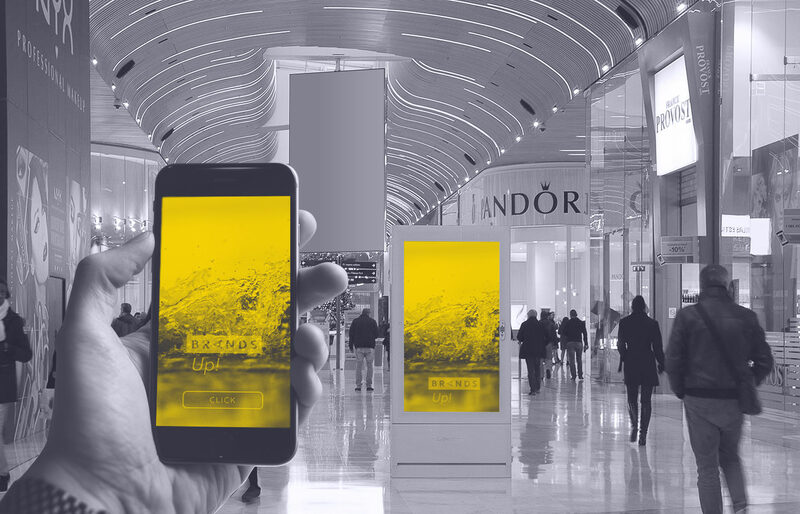 Brands Up!® is a solution blending mobile advertising and DOOH campaigns in shopping malls, bringing brands on the top of mind of consumers throughout their journey, all the way to their purchasing decision. 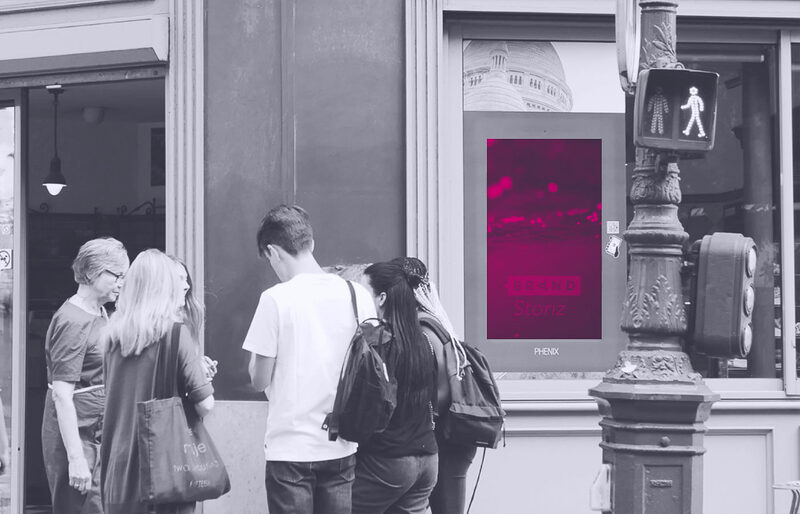 Brand Storiz® is the digital outdoor experience flourishing geo-behavioural knowledge from mobile data, to communicate precisely throughout the millennials beloved spots. Brand Storiz provides emotions broadcasting “stories” and snackable contents. 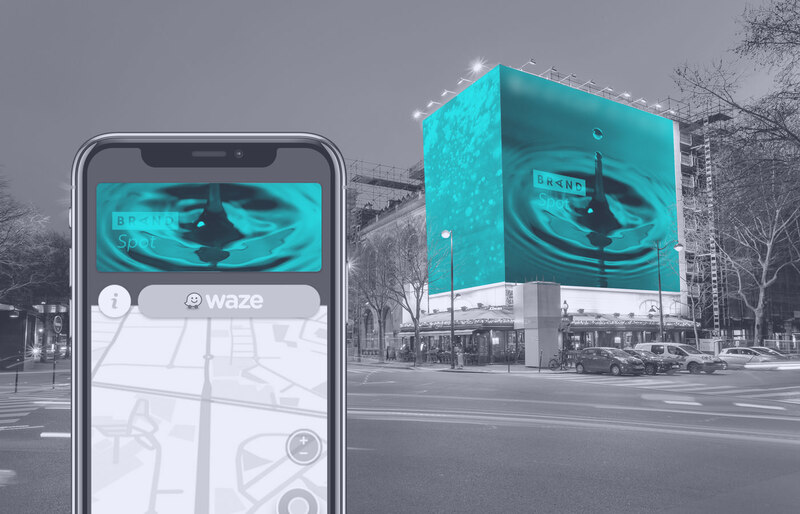 Brand Spot® merges the best of outdoor advertising and mobile marketing with Waze, to communicate to car drivers, ingeniously activating the app users on their itinerary, synchronising with spectacular advertising formats in their direct visual field. Find all the DOOH news on our blog. SOCIÉTÉ PAR ACTIONS SIMPLIFIÉES AU CAPITAL DE 70 600 EUROS, IMMATRICULÉE AU RCS DE NANTERRE SOUS LE NUMÉRO ??? The purpose of this website is to provide information about Screenbase, its structure, its services. Despite its efforts to provide reliable content through this website, Screenbase (‘the Company’) cannot guarantee the accuracy, precision, timeliness or exhaustiveness of information posted on the site. Screenbase is concerned about the protection of personal data. The Company assures the best level of protection of your personal data in accordance with the French Data Protection Act and in accordance with the Regulation (EU) 2016/679 of the European Parliament and of the Council of 27 April 2016 applicable from 25 May 2018. For any information about the protection of personal data, you can also consult the website of the French data protection authority, la Commission Nationale de l’Informatique et des Libertés. Datas collected (Name, First Name, Company, Email, etc.) are required to send the documents you want to download or receive. Screenbase may use your personal data in order to contact you. Personal datas are stored by Iliade into the database. A cookie is a text file deposited during a visit to a site or while consulting an advertisement. Its purpose is to collect information relative to your browsing and to send you services adapted to your terminal. These cookies permit Screenbase to store your favorites. They expire after two months.